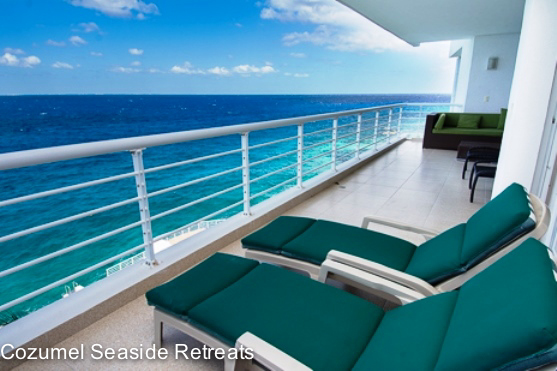 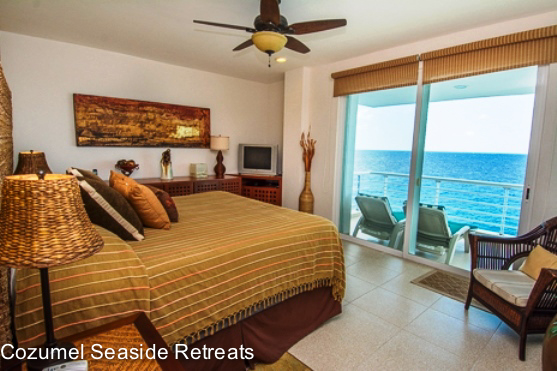 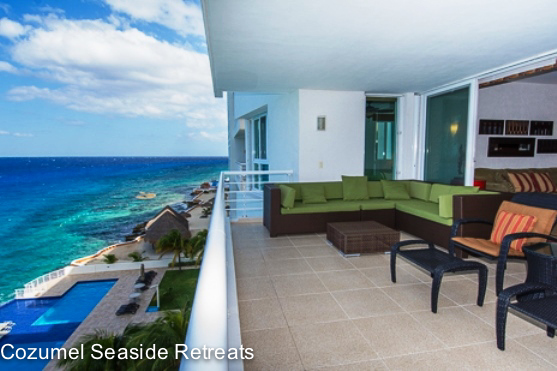 Nah Ha Condo 502 for rent oceanfront condo in Cozumel Island. 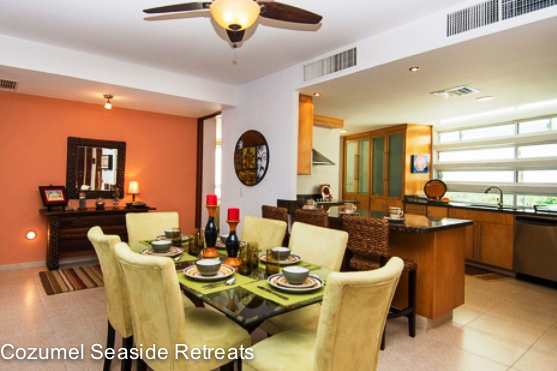 Imagine breakfast overlooking the Caribbean Sea from the sprawling balcony of this exquisite fourth floor Nah Ha Condo 502. 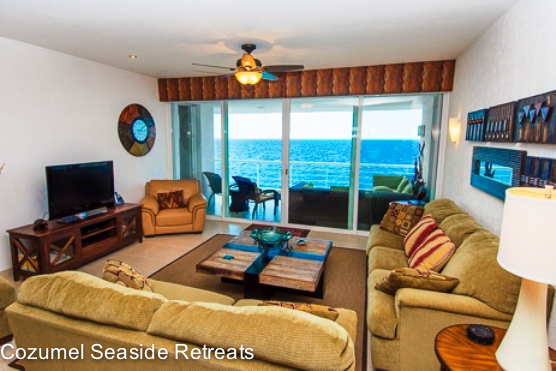 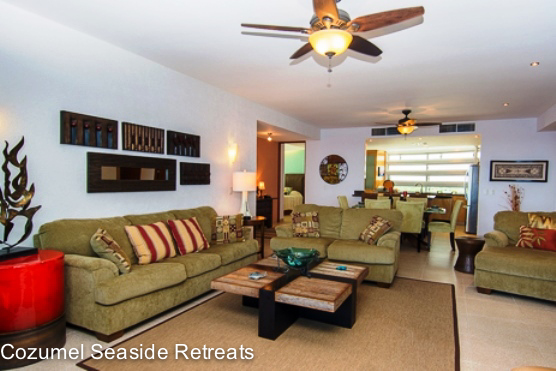 With beautiful classic furnishings, this 3 bedroom, 3 1/2 bathroom Nah ha Condo 502 has everything you could imagine for the perfect Oceanfront Holiday. 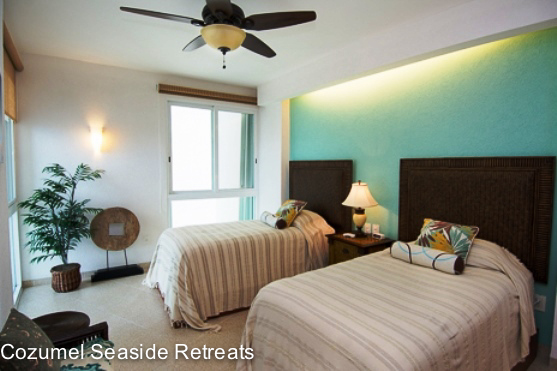 The living room and 2 master bedrooms provide Breathtaking Ocean Views and all overlook the swimming pool and garden. 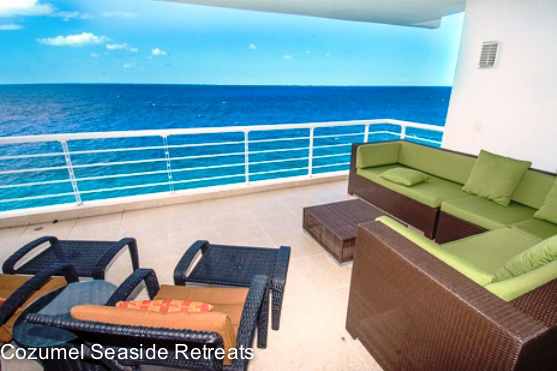 Wireless internet makes it easy to check your e mails whether you are in bed or on the terrace! 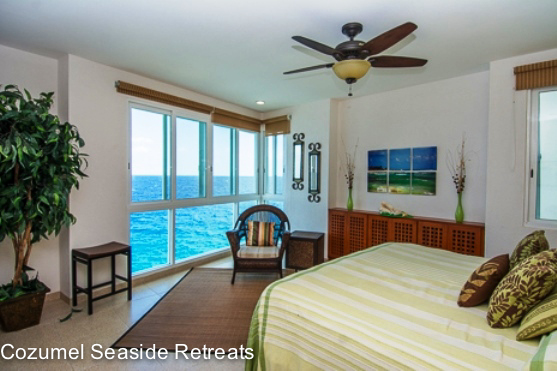 Oceanfront Master Bedroom: Nothing but sparkling ocean in sight as you wake in your comfortable king size bed. 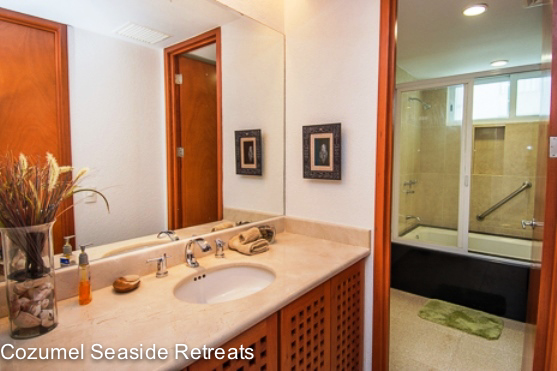 The master bedroom features a private bathroom with tub and large walk-in-closet. 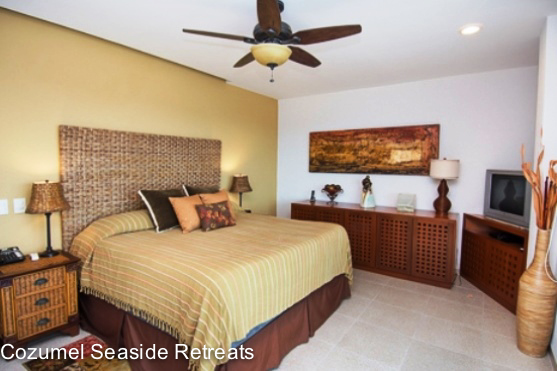 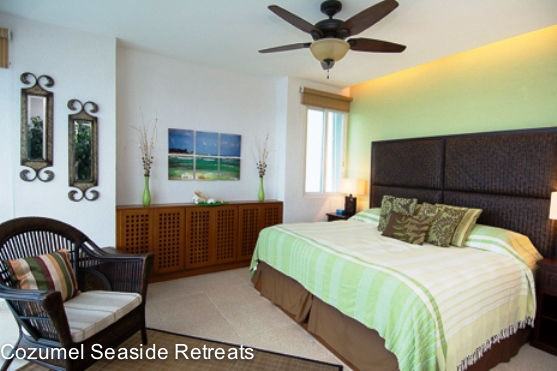 2nd Bedroom – Oceanfront: The second bedroom contains a luxurious king size bed, beautiful rattan furnishings, private bathroom with tub and plenty of closet space. 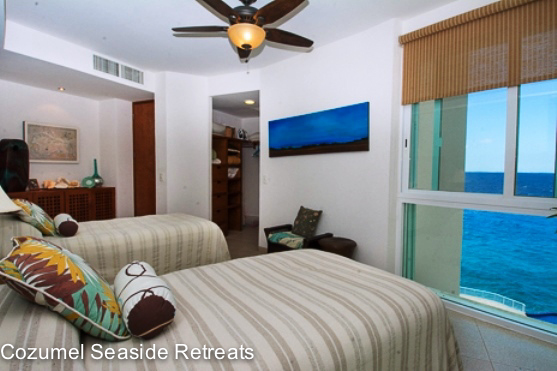 3rd Bedroom jungle side with ocean view: Classic furnishings with 2 comfortable twin beds. 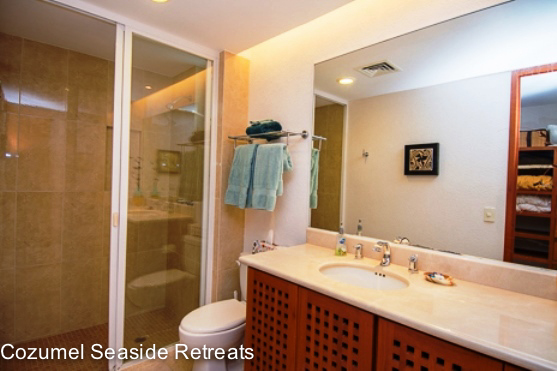 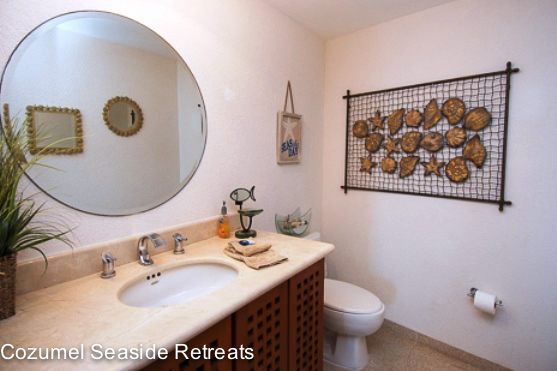 This room also has a private bathroom with spacious shower. 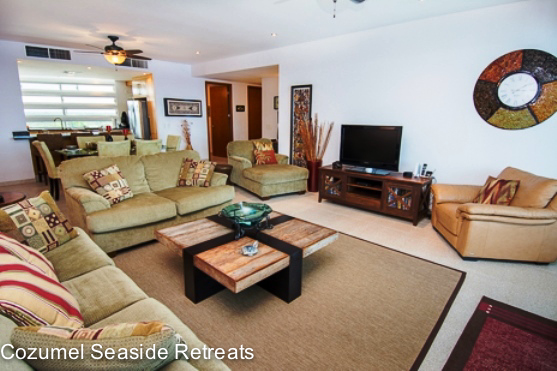 Living room: You’ll feel right at home in this spacious and comfortable living area with fully equipped entertainment center. 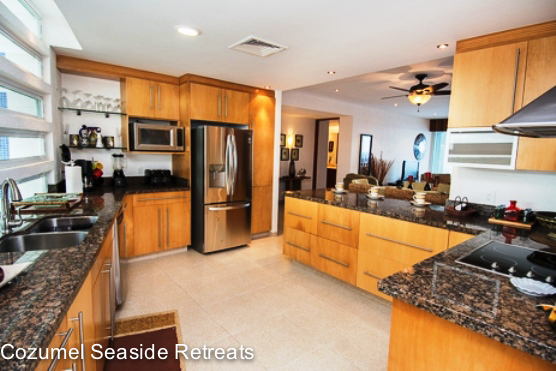 Enjoy the sweeping ocean views from this beautiful open plan living and dining space. 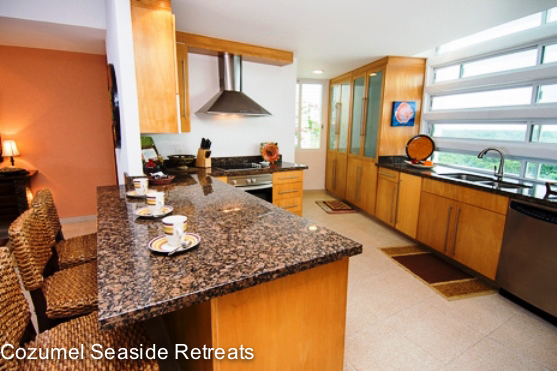 Kitchen: A huge, fully equipped kitchen awaits you with everything you need to prepare all your meals! 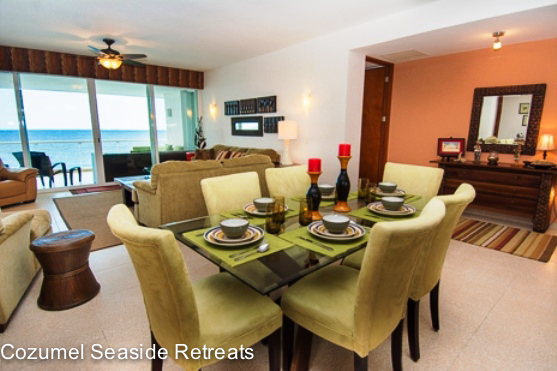 Condo was lovely, with a fabulous view and beautifully furnished. 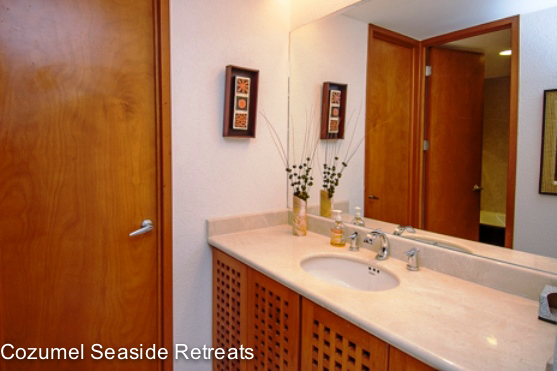 Can't go wrong with a stay at this quiet, lovely spot! 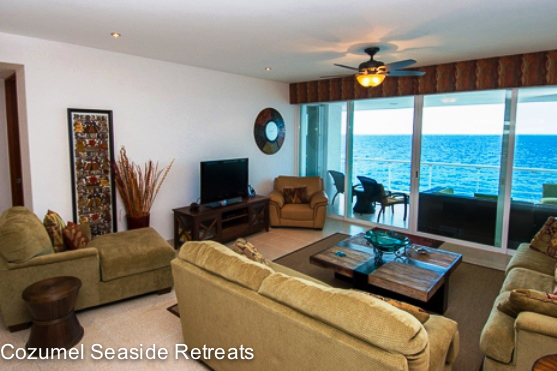 The condo was beautiful, the people that were there for us were awesomoe.I can't wait to go back. 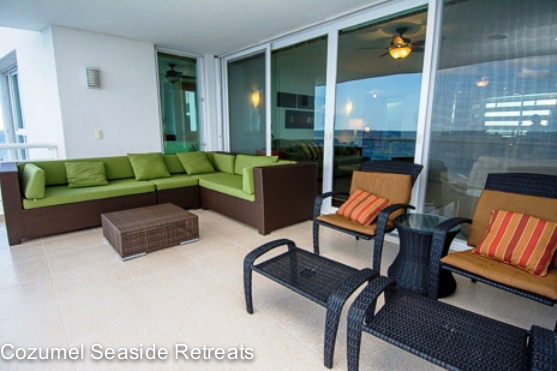 Wonderful sunsets right from our balcony, and not a far walk from downtown...ok, I'll say it again...Perfect!